November 12th in Wordpress Tips by Wordpress Jedi . Askit: a slick WordPress theme for Q&A websites. It has 7 color schemes for you to choose from. Its user reputation system is pretty solid too. Instant Q&A: perhaps the best Q&A theme on the market (at the time of this writing). It’s clean, very dynamic, and designed with your community in mind. Your visitors gain points by participating in your community, which is a nice feature to have. 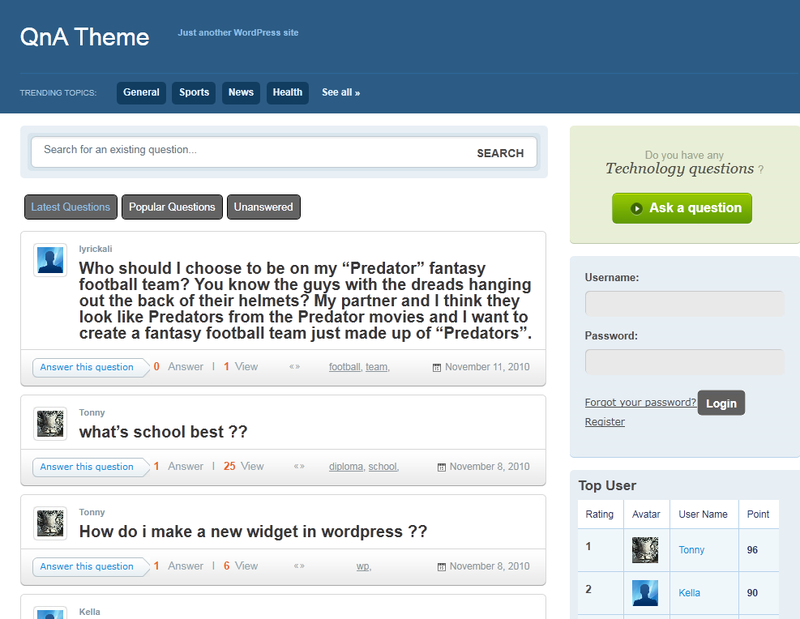 Q&A Theme: a clean answers theme for WordPress. 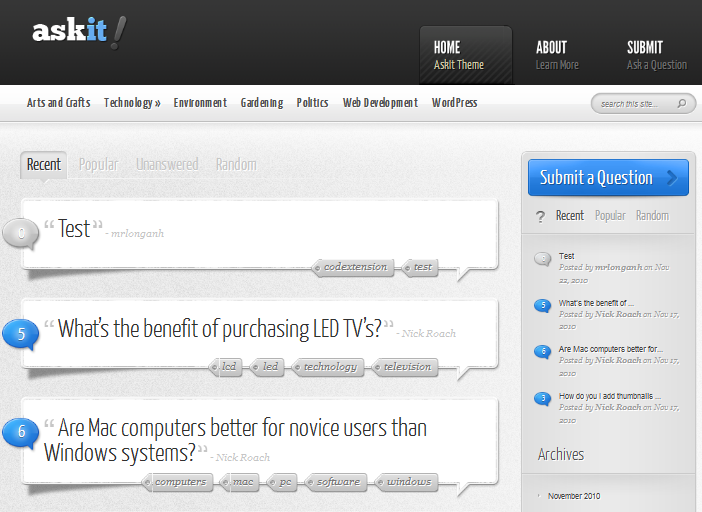 It is easy to set up and lets you build a community around your favorite topic. It lets you import questions from Yahoo! Answers. 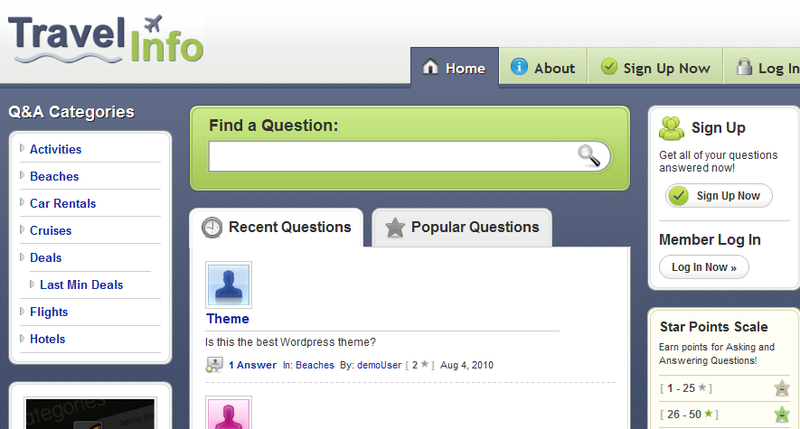 Answers Theme: designed for dedicated Q&A websites. It has multiple color schemes and a pretty clean design. You can have your blog on the side using this theme. 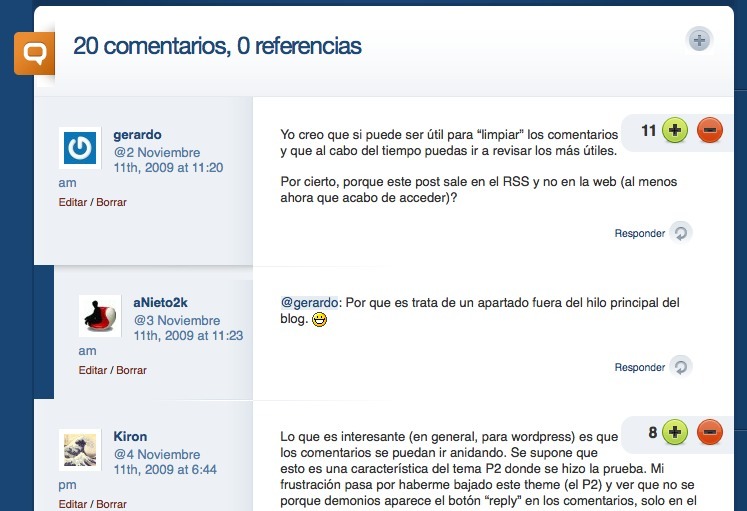 WP-Answers: a premium plugin for WordPress that turns your website into a Q&A site. 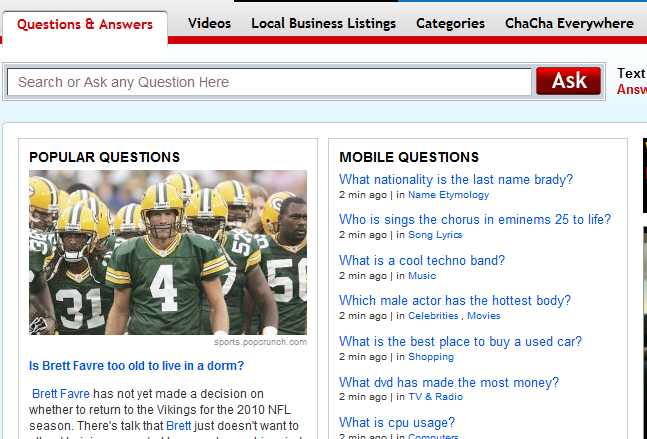 It also grabs the latest questions from Yahoo! Answers to make your site look busy. 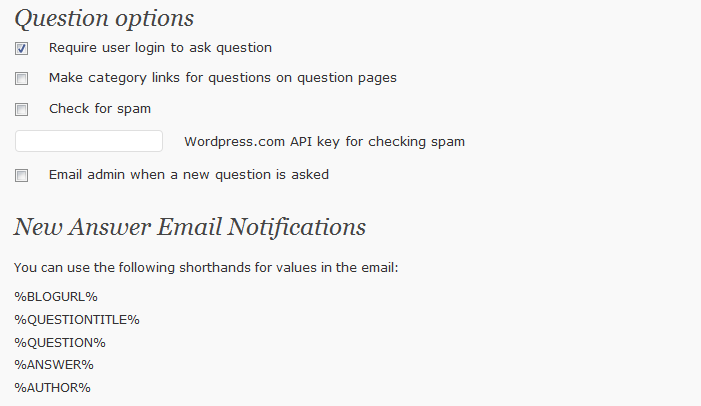 WP Answers: it essentially turns your comments into a Q&A system. Your visitors can vote comments up and down. Question and Answer Forum: does not make drastic changes to your website, but it does let you use short-codes to create the Q&A section for your website. 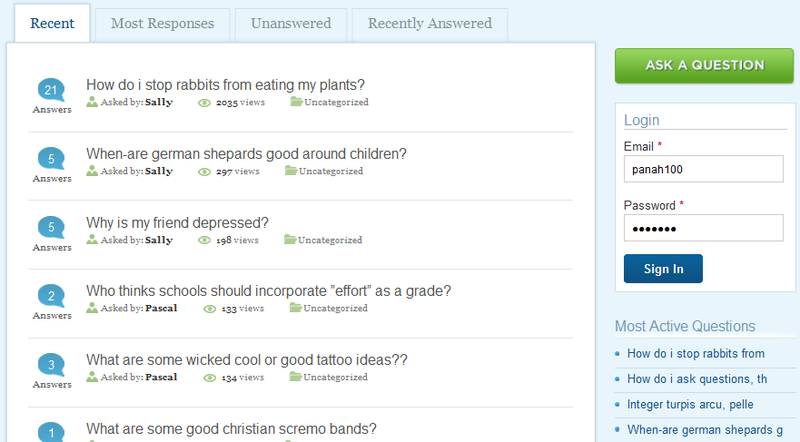 ChaCha Answers: you can use this plugin to integrate questions from ChaCha into your website. Latest questions asked can be displayed too. Urtak: not exactly a Q&A solution for WordPress, but it does allow you to integrate Yes/No surveys into your website (any platform) and allows your visitors to ask their own questions. I would avoid WP-Answers 3.0. The theme is very mouch over prices and the developer fails to deliver a quality product. Basic functionality is missing and/or broken. There is a reason he offers no guarantee. I had some success with the second version. We have not tested the third version and don\’t intend to… for various reasons that I would rather not get into. WP-Answers is absolute rubbish software. Could not get to work properly and no response from support but I did finally get a response after I forced a refund through my credit card company. Is this the new version? 3.0? I had a lot of success with Version 2. I actually used a different theme and plugin for a site we had. It was called Answeroid. We sold it now but just worked fine for us.